Ismael “Rocket” Valdéz was 17 years old when he was signed by the Los Angeles Dodgers as an amateur free agent on June 14, 1991. He made his professional debut with the Gulf Coast Dodgers that year. 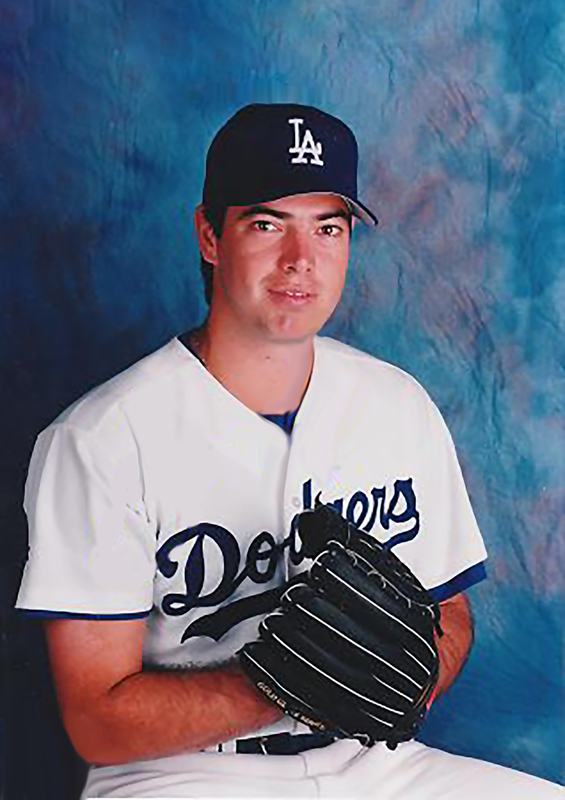 The Dodgers loaned him to the Mexico City Tigres in the Mexican League for the next two seasons before he returned to the U.S. to play in the Texas League for the San Antonio Missions in 1993. He won the Championship in 1992 with the Tigres. In 1994 he was promoted to the AAA Albuquerque Dukes in the Pacific Coast League. Valdéz made his Major League debut on June 15, 1994 at the age of 20. He was the youngest player in the Majors at the time, pitching 2 shutout innings of relief against the Cincinnati Reds. His first win was recorded on July 5 against the Montreal Expos. He started for the first time in the majors on July 18 against the New York Mets. On December 12, 1999 the Dodgers traded him to the Chicago Cubs. On June 26, 2000 he was traded back to the Dodgers. He made 8 more starts for the Dodgers and was 0-3 with a 6.08 ERA. He signed as a free agent with the Anaheim Angels in 2001 and was 9-13 with a 4.45 ERA. He then signed with the Texas Rangers on January 28, 2002. The Rangers traded him to the Seattle Mariners on August 19, 2002. Valdez was 2-3 with a 4.93 ERA in 8 starts for the Mariners. Texas re-signed him as a free agent in the offseason. He was 14-17 with a 4.88 in 45 starts for the Rangers between 2002 and 2003. He then signed as a free agent with the San Diego Padres on December 18, 2003. He was 9-6 with a 5.53 ERA in 23 appearances (20 starts) for the Padres and was traded to the Florida Marlins on July 31, 2004. In 2 seasons with the Marlins he was 7-5 with a 4.89 ERA in 25 appearances (18 starts). He missed most of the 2005 season with a hairline fracture of his right fibula. After many years away from the sport, Valdéz returned to organized baseball in 2013 as a member of the Tigres de Quintana Roo in the Mexican League.